ST-IF is a trading platform for unlisted companies. We provide a solution that enables these companies to allow their existing shareholders and prospective investors to trade in their shares. Trading facilities for unquoted shares have been used by some well-known companies, such as: Weetabix, NCP, Arsenal, Xerox, West Ham, Adnams, Man City, Metropolitan Stock Exchange of India, Liverpool FC, Imugene, and many more. The companies on our platform are from a number of different sectors and range in size, from start-ups to larger corporations. 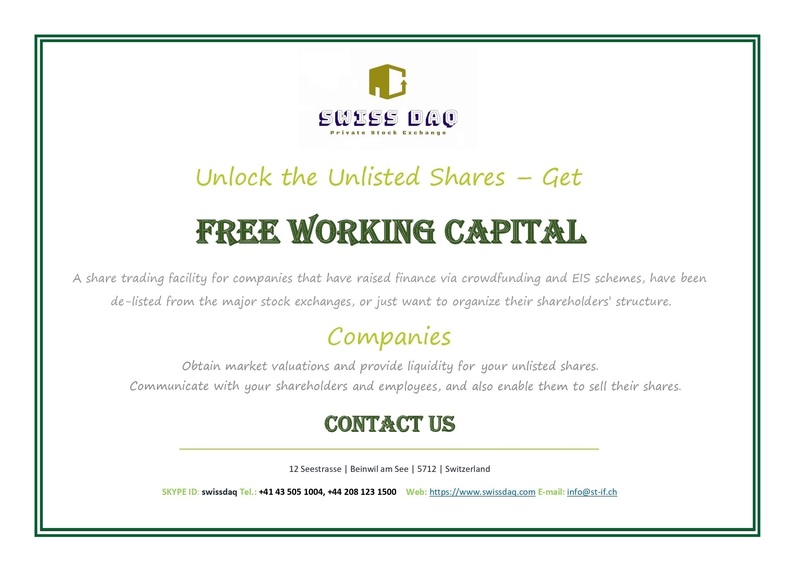 Sell your shares in unlisted companies. Obtain market valuations of your shares. Communicate with your shareholders and provide liquidity for your shareholders. ST-IF is a trading platform for unlisted companies. ​We provide a solution that enables these companies to allow their existing shareholders and prospective investors to trade in their shares.